Gerald Rudolph Ford Jr. was born in Omaha, Nebraska, on July 14, 1913. His name at birth was Leslie Lynch King Jr., after his biological father. 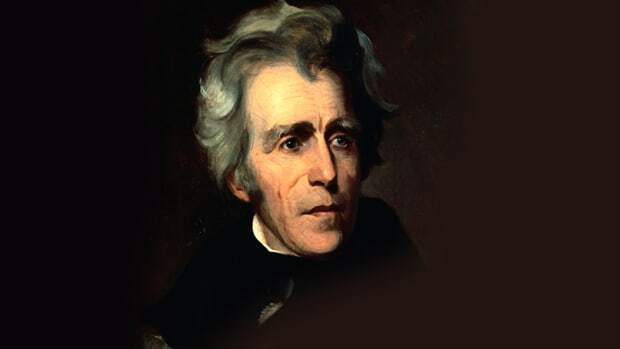 His mother, Dorothy, divorced King when her son was a baby and moved to Grand Rapids, Michigan. 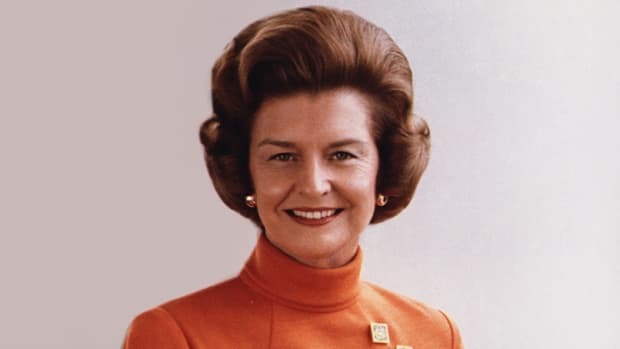 She then married Gerald R. Ford, a successful paint salesman who adopted her young son. Ford recalled in his memoirs that he learned about his biological father at the age of 12 and only met the man a couple of times. Did you know? 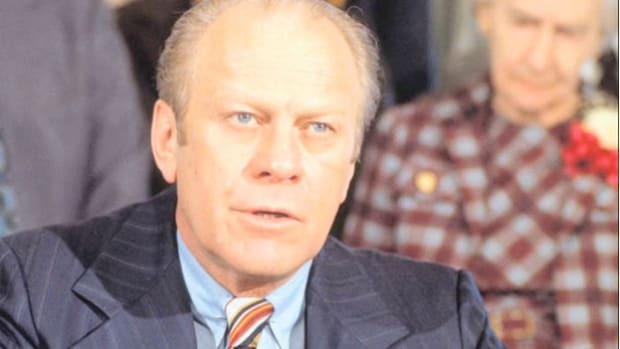 Although Gerald Ford had a reputation for being clumsy, he was one of the most accomplished athletes ever to grace the Oval Office. He was a gridiron star who won college football national championships in 1932 and 1933 with the University of Michigan, and was also an expert downhill skier. A high-school football star in Grand Rapids, Ford attended the University of Michigan on an athletic scholarship. After earning a degree in economics in 1935, he later went on to study law at Yale University. Shortly after he graduated from law school in 1941, America.entered World War II (1939-45). Ford enlisted in the U.S. Navy and served aboard an aircraft carrier. In 1948, he married Elizabeth (Betty) Bloomer Warren (1918-), a former professional dancer and department store fashion coordinator. They eventually had four children: Michael (1950-), John (1952-), Steven (1956-) and Susan (1957-). Ford also launched his career in politics in 1948, when he was elected to the U.S. House of Representatives. He served in the House for the next 25 years, earning a reputation as a friendly, honest, loyal and hardworking Republican. 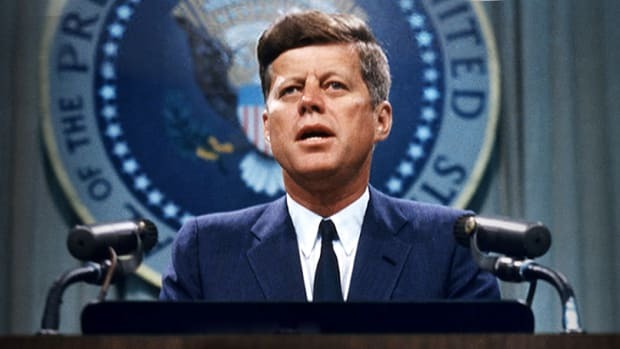 In 1964, he served on the Warren Commission that investigated the assassination of President John F. Kennedy (1917-1963). 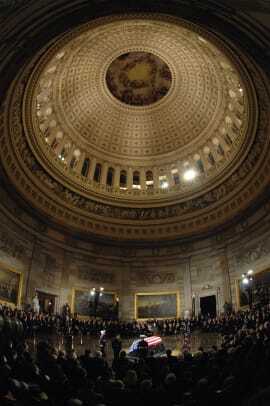 The following year, Ford became House Minority Leader. 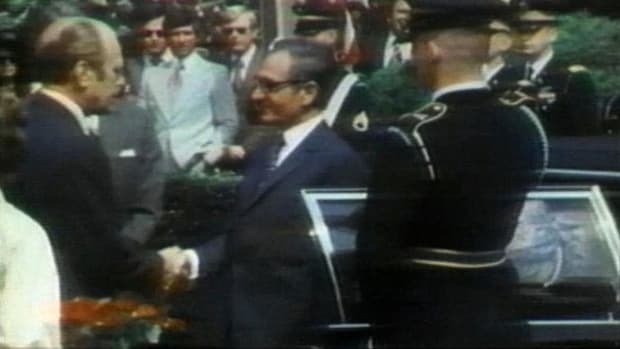 The unusual chain of events that lifted Ford to the Oval Office began in 1972 when operatives connected to President Richard Nixon’s (1913-1994) re-election campaign broke into the Democratic National Committee headquarters at the Watergate Hotel in Washington, D.C. A number of high-ranking Nixon administration officials knew about the break-in, and the president himself took part in efforts to cover up the illegal activities that became known as the Watergate scandal. As the scandal came to light, Vice President Spiro T. Agnew (1918-1996) resigned from office in October 1973 over unrelated charges of accepting bribes and evading taxes. Nixon used his power under the 25th Amendment to the U.S. Constitution to appoint Ford as his new vice president. 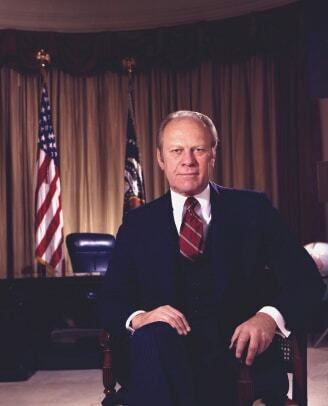 The well-liked and respected Ford was easily confirmed by Congress and took office on December 6, 1973. 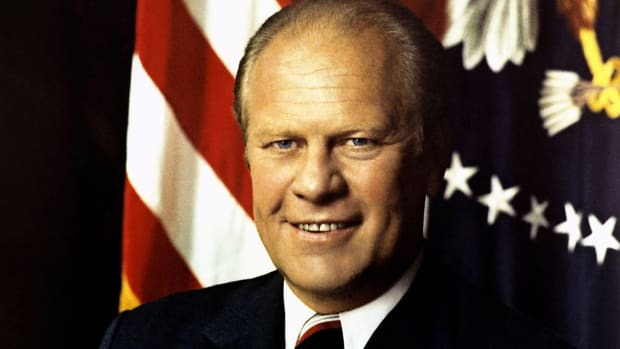 Shortly after taking office, Ford pardoned Nixon for any crimes he may have committed as president. The presidential pardon meant that Nixon would never have to face criminal charges over his involvement in the Watergate scandal. Ford’s decision generated a swirl of controversy. 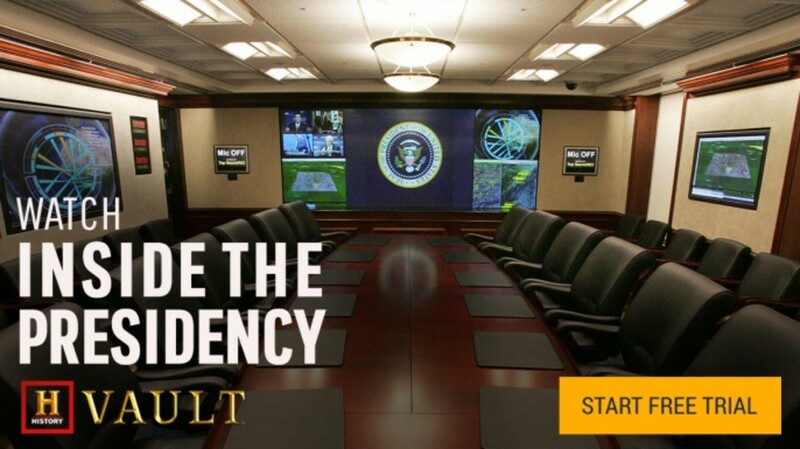 Millions of Americans wanted to see the disgraced former president brought to justice. Some critics charged that Ford issued the pardon as part of a pre-arranged deal to reach the Oval Office. But Ford insisted that the nation’s future hinged on ending the ordeal of Watergate and beginning the process of healing. During the remaining two years of his presidency, Ford faced a domestic energy crisis and a weak economy marked by high inflation and unemployment. He also struggled to work effectively with a heavily Democratic Congress. In fact, Ford vetoed 66 pieces of legislation that conflicted with his basic philosophy of fiscal conservatism. Ford’s foreign policy generated both successes and failures. 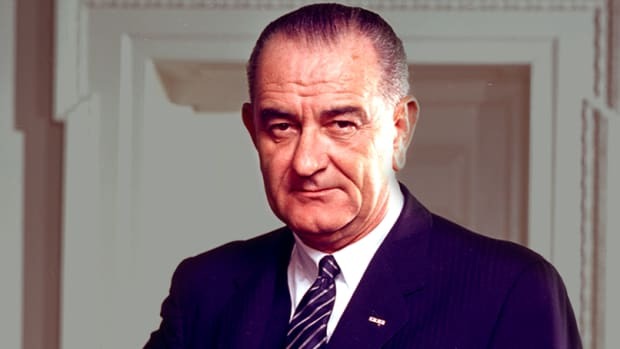 Unable to convince Congress to approve further military aid to South Vietnam, he could only watch as the country fell to North Vietnamese Communist forces in 1975. 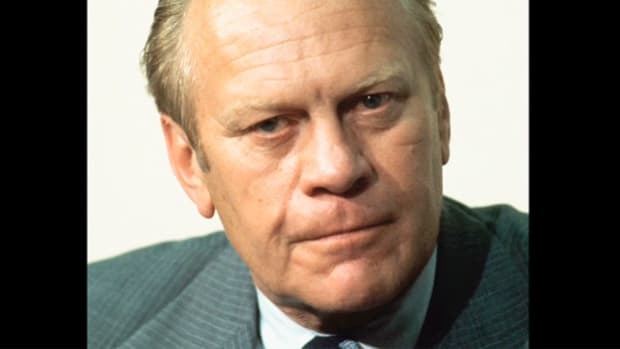 Later that year, however, Ford helped reduce tensions with the Soviet Union by signing the Helsinki Accords, which were meant to strengthen the relationship between Western nations and the communist countries of Europe. Ford understood that his decision to pardon Nixon could have political consequences, and it probably cost him the presidency in 1976. 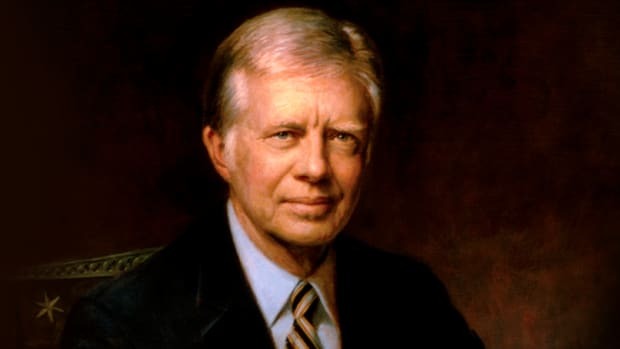 That year, he lost a close election to Democrat Jimmy Carter (1924-). Ford took the loss in stride, however, telling friends that he had planned to retire from Congress that year anyway. He viewed his brief tenure in the Oval Office as an unexpected bonus at the end of a long career in politics. 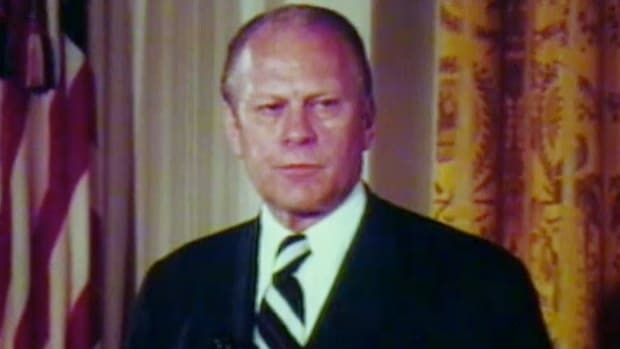 Ford often said that he was pleased to have had the opportunity to help the nation emerge from the shadow of Watergate. Ford died on December 26, 2006, at his home in Rancho Mirage, California, at the age of 93. 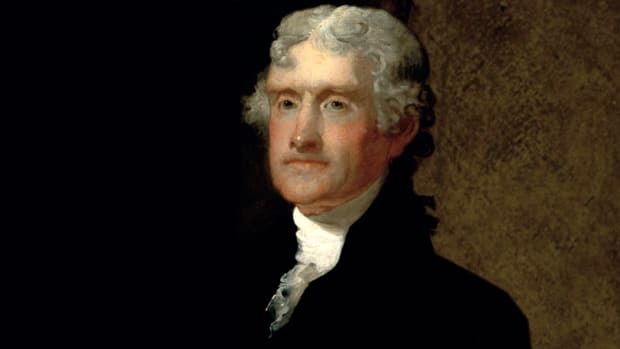 At the time of his death, he was America’s oldest ex-president.